In today’s competitive business world, outsourcing complex compliance functions can make sense. Managing regulatory compliance, staying on top of the latest issues and employee requirements is demanding to say the least. Reduce your corporate liability and exposure. Effectively manage critical compliance functions. Pulse America offers classes in OSHA Compliance. We provide training solutions that helps employers maximize productivity and minimize the costs associated with on-the-job injuries. Pulse America carries a complete line of AEDs. You can choose from Philips, HeartSine, and Zoll. You will be comfortable knowing that Pulse America offers CPR/AED training and can help you set up your AED program, including a written plan and a medical prescription (when necessary). With Pulse America’s complete AED solution, you’ll have the peace of mind of knowing you have the best technology, ease of use, as well as Pulse America’s hands on style of training to help make your workplace safer. Emergency Oxygen is administered in 98% of 9-1-1 calls. Supplemental Emergency Oxygen is a critical step in treating all medical emergencies. Emergency Oxygen administered to a breathing victim may prevent deterioration of the victim’s condition that could also lead to shock. Emergency Oxygen given in conjunction with CPR to a non-breathing victim could prevent irreversible brain damage or damage to other vital organs. Pulse America carries the Life Oxygen line to offer a total medical package incase a medical emergency presents itself in your facility. Life Emergency Oxygen is a perfect companion for your AED; it provides supplemental oxygen to a breathing victim before the onset of fibrillation, oxygen enriched CPR to a non breathing victim, or continued supplemental oxygen after successful defibrillation. In addition, supplemental oxygen is used to treat conscious victims of heart attack and also to prevent an accident victim form going into shock. Whether your profits are suffering from inventory shrinkage due to consumer or employee theft, we can help you. Pulse America can help you with your Loss Prevention by identifying safe and secure areas on your premises and advise on how to improve them. We help you safeguard your staff and merchandise. Accidents happen every minute of everyday at businesses around the United States . The reasons are various; equipment, people, surroundings etc. In addition to OSHA compliant training programs, Pulse America offers accident investigation services. Pulse America investigates to find the root cause of the accident and what can be done to eliminate the problem. 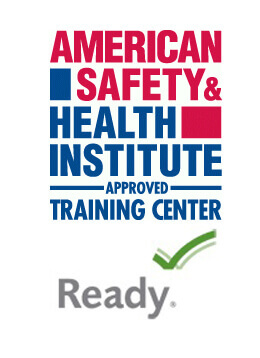 Pulse America is an American Safety & Health Institute (ASHI) training center. ASHI training programs have been reviewed by and/or satisfy the requirements of the Department of Labor, Occupational Safety & Health Administration (DOL/OSHA), Department of Homeland Security, and United States Coast Guard (DHS/USCG). ASHI programs are also recognized, endorsed, accepted or approved by state regulatory agencies, including those licensing Emergency Medical Services, child care, education, public health, labor and others. Pulse America serves local communities in South Florida including Miami, Hialeah, Kendall, Coral Gables, Miami Beach, Miami Lakes, Opa Locka, North Miami, Homestead, Dania, Hallandale, Hollywood, Ft Lauderdale, Pembroke Pines, Davie, Lauderhill, Sunrise, Plantation, Weston, Miramar, Coral Springs, Margate, Coconut Creek, Tamarac, Pompano Beach, Deerfield Beach, Boca Raton, Boynton Beach, Delray, Wellington, Lake Worth, West Palm Beach, Jupiter, Hobe Sound, Jensen Beach, Port St. Lucie and Fort Pierce. Our Jacksonville office serves Fernandina Beach, Yulee, Palm Valley, St. Augustine, Palatka, Ormond Beach, Daytona Beach, Port Orange, De Land, New Smyrna Beach, Titusville, Orlando, Gainesville, Ocala and Lake City.